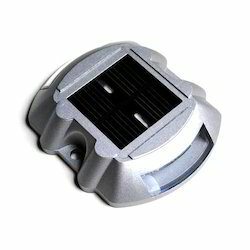 Leading Manufacturer of flat solar road stud light and pole type solar road stud from New Delhi. 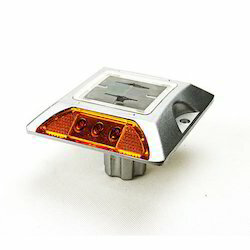 Owing to our huge expertise we are actively participating in delivering our clients with best series of Flat Solar Road Stud Light. This is available in standard specifications from us. Adhering by the quality norms of the industry we are designing and delivering sturdy range of Pole Type Solar Road Stud. This can be bought from us in various specifications. Body type: Aluminium alloy and Polycarbonate.